In 1999, youngest step-son started making “you really need a computer” noises. My husband’s business records were being kept, the ledger was accurate, he never was overdrawn at the bank. Customer receipts were filed in the filing cabinet. At least the ones he didn’t lose between the truck and the house were. The filing cabinet only had 2 drawers and all the old receipts were filed away in totes in the storage shed, so what? I could find them…sort of. In the beginning my husband, also among the technologically challenged, agreed with me. We didn’t need a computer. A friend of ours then showed him all the good things that could be done with a computer. Things like finding vehicle parts, best prices for plumbing supplies, storing customer files and the ability to print out information regarding new products on the market designed for his kind of business. Then came the day in 2001 that I came home to find youngest step-son in my dining room setting up a computer on my dining table. My solid oak dining table, the one we ate our meals off of. The one that was now occupied by Youngest’s old computer. It was mine now, he gave it to me, only…I didn’t want it. I didn’t know how to use it and I didn’t see any reason to learn. I was busy, I worked, did his bookwork and the housekeeping. In my spare time, what there was of it, I painted and sold items at craft shows. Yet, there now was this computer taking up space on my solid oak dining table. Realizing that I was facing an inevitability and that protest was useless, I decided that my only course of action was to pull up a chair, sit down and look like I was paying attention. He told me it was an IBM. 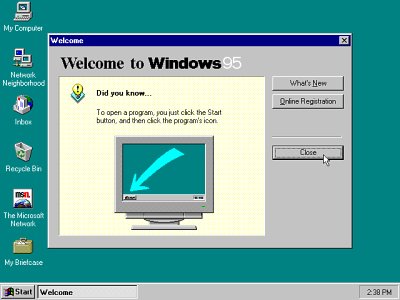 It’s OS was Windows 95. The mouse was huge, with a red ball on the top of it. The cat just loved knocking that red ball off the mouse and rolling it around the floor. After retrieving it for the 10th time he started to “instruct” me. So, I now had a computer, with added programs that would have allowed me to do spreadsheets, ledgers, appointments, and there was a Printmaster Gold that would allow me to create brochures and business cards. If I knew how to use a computer they would. What Hubby didn’t realize was that all these programs required a disk to run, and Youngest kept the disks for his new computer because he needed these programs. Another little bit of information that was left out of the process to convince him that I needed a computer was the fact that in order to find all the plumbing supplies and vehicle parts, I’d have to have an internet connection, and a printer to print the information out on. Hubby’s “useless” computer sat there for the better part of a month gathering dust. On MY solid oak dining table that we could no longer use. Then, one rainy day I was looking for something to do while waiting for paint to dry on a project I was working on. I decided to do some dusting in a room away from my art center. While dusting I somehow managed to push the button on the front of the tower and the computer turned on. All it was doing was gathering dust, I might as well do something with it…right? Added by Butterose on April 14, 2010.